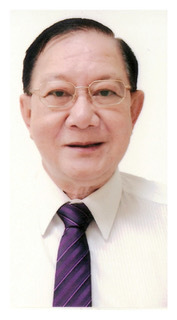 Eng Leong has been involved in the Hotel Industry for more than 30 years in Human Resource Management, Industrial Relations, Learning & Development, Organisational Change and Total Quality Management. His expertise is largely in the development of human resource policies and practices at both the strategic and transactional levels, having being Head of Human Resource Management at the unit level, the regional/area level and the corporate level of management of major hotels and international hotel companies. His work involved evaluating opportunities for improved operational performance and, through quality and human resource management interventions, designed strategies, policies and programs, for sustainable business growth and success. In his career spanning, he has helmed positions such as Senior Vice President with Dusit International Bangkok, Group Director and Regional Director with Shangri-la Hotels and Resorts, Associate Director with Price Waterhouse Coopers, Regional Director with BAX Global, Director of HR for Westin Stamford & Westin Plaza and Oberoi Imperial Hotel and held regional appointment in Caterpillar Asia. He was also the Assistant General Secretary of Singapore Industrial Labour Organization (SILO). Eng Leong holds a Bachelor of Arts (Honours) from University of Singapore majoring in History and a Master of Science (HRD) from South Bank University (UK) majoring in Organizational Development, Strategic HRM/HRD, Research Methods.